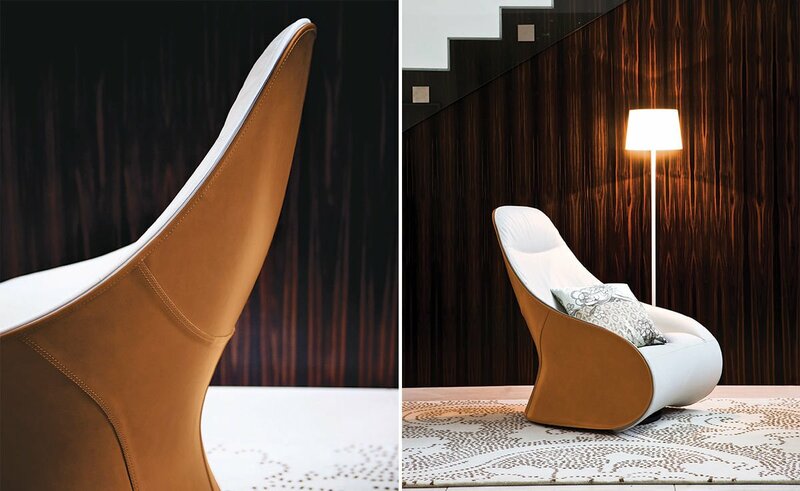 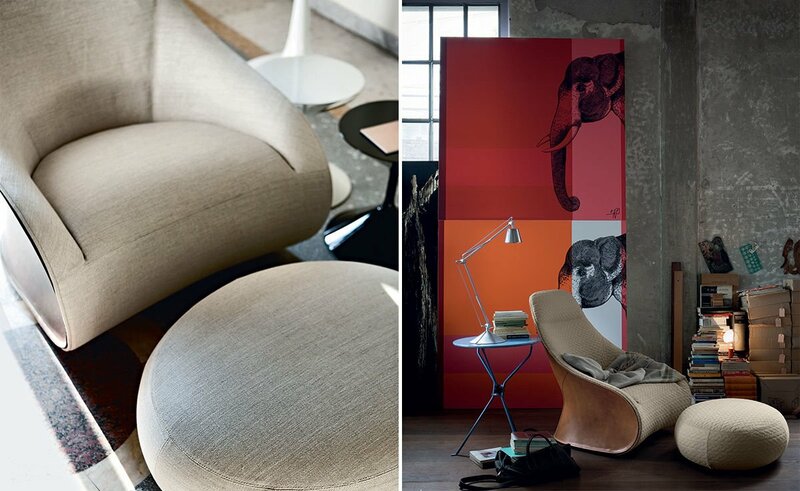 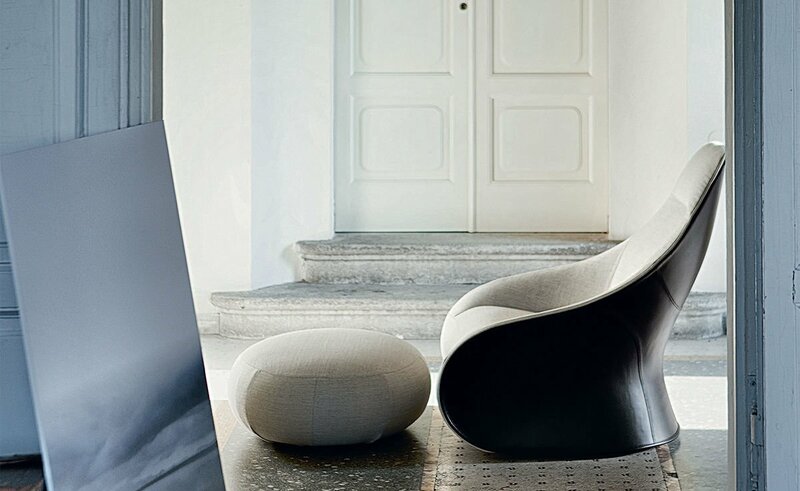 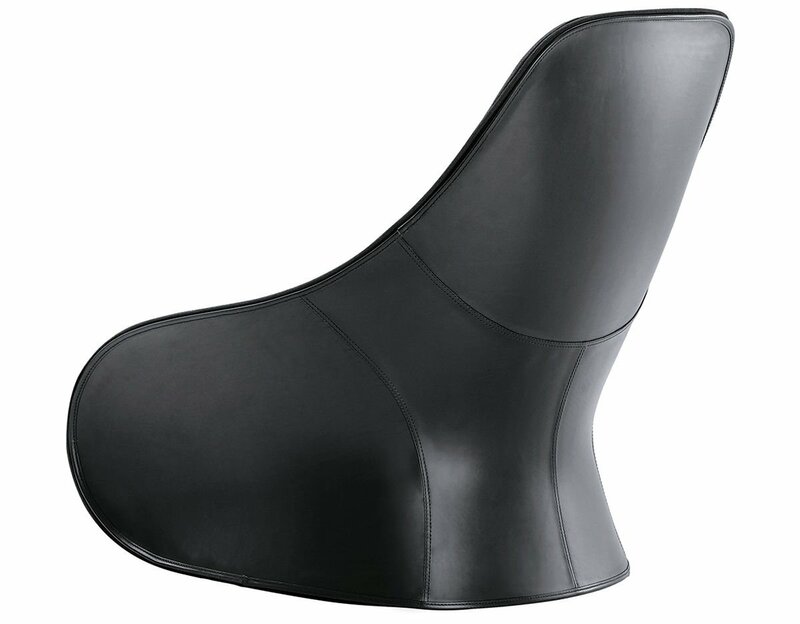 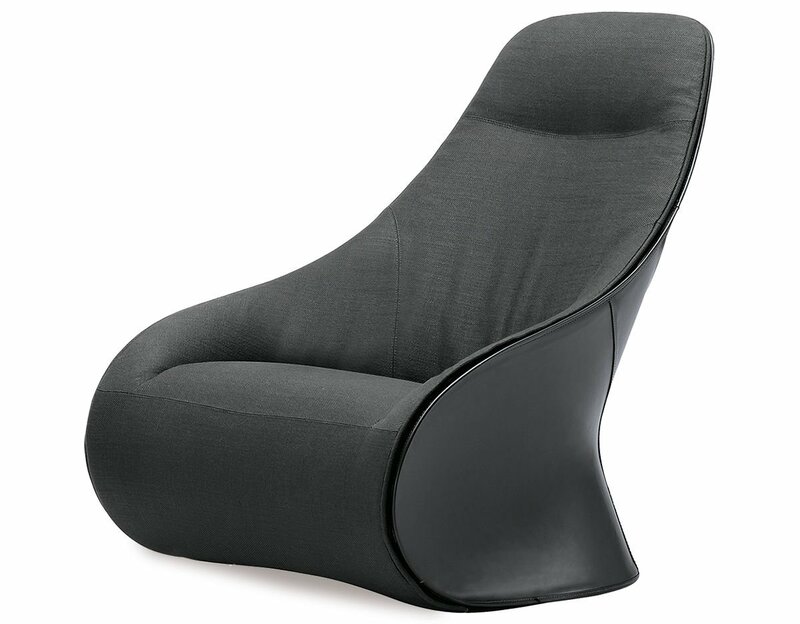 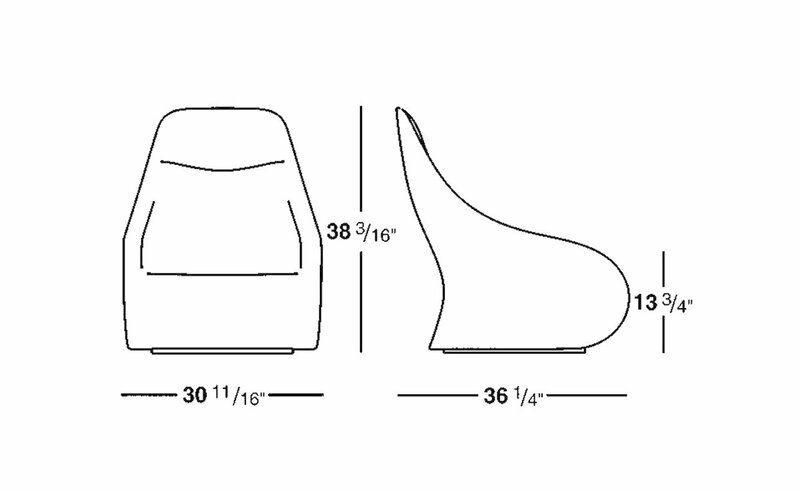 The relaxed silhouette of the Derby lounge chair features a stiff polyurethane external body covered with cowhide. 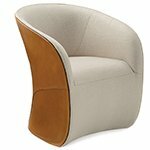 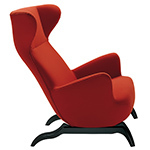 the internal body is upholstered with self-extinguishing polyurethane foam/heat-bound polyester fiber with elastic strip suspension and a fixed internal nylon cover. 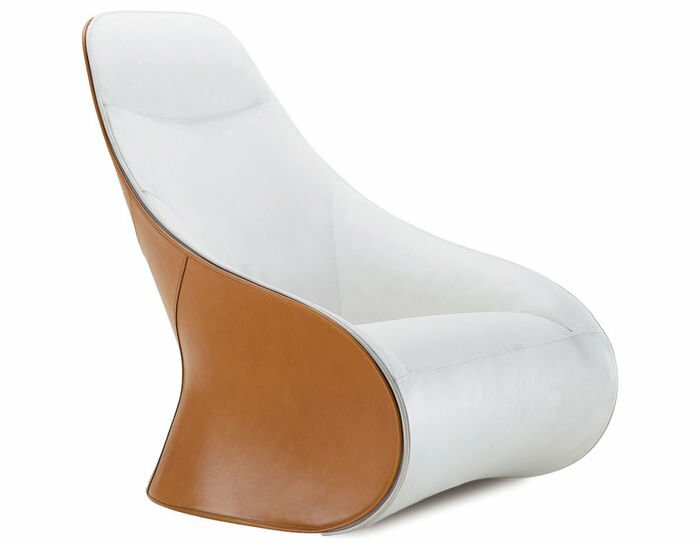 The external fabric or leather cover is removable. 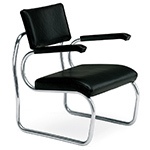 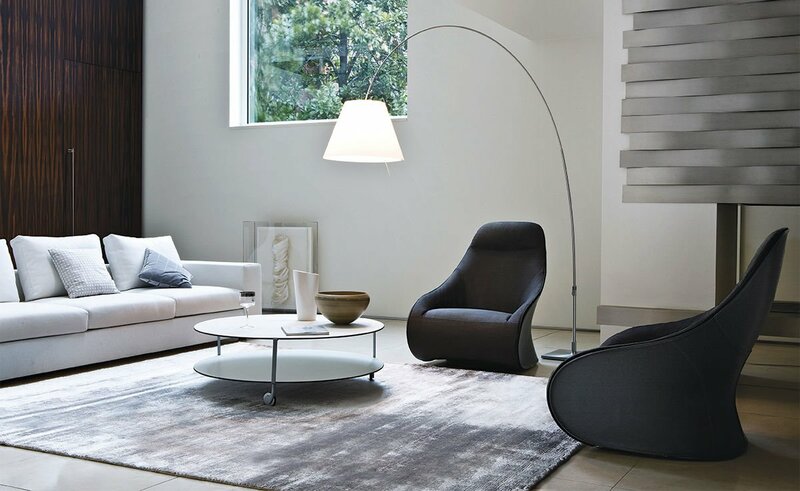 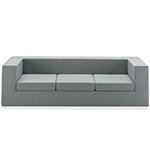 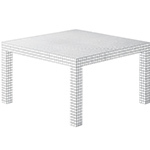 Can be specified with either a swivel steel base or fixed with feet. 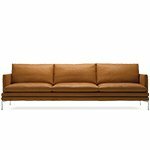 $7,170.00 + free shipping in the continental U.S.